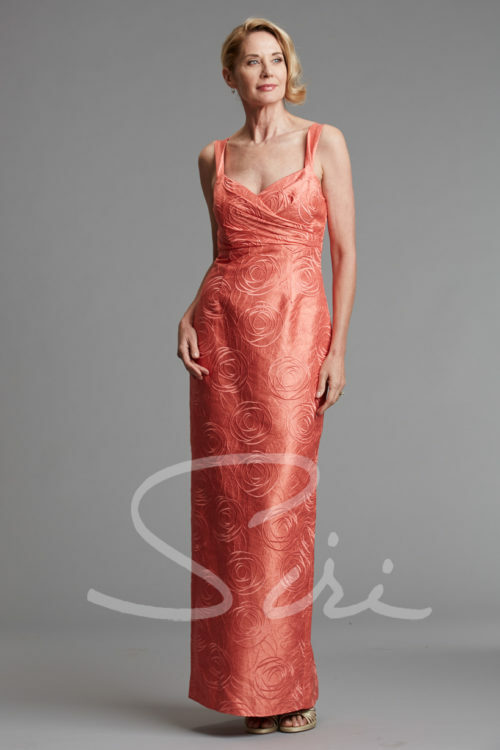 This silk taffeta gown has a deep V neckline and is fitted at the waist with contrasting piped accents. The full tucked skirt is perfect for dancing. Back zipper.